For a while now, I've been running a group for quizmasters over on Facebook. 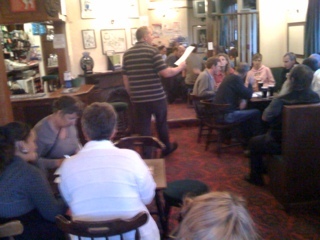 If you're working as a quizmaster, please join the group. You'll fin a fantastic source of question-and-answer sets as well as lots of useful chat between quizmasters covering all sorts of topics from how to deal with cheats to setting questions and dealing with venues. I found this page on Wikipedia yesterday which is a handy reference for checking older questions. Countries have a habit of changing their names and their capitals and quizmasters need to be on top of the ever-changing situation. The page on Wiki is titled Timeline of Country and Capital Changes and deals with changes from recent times and further into the past. 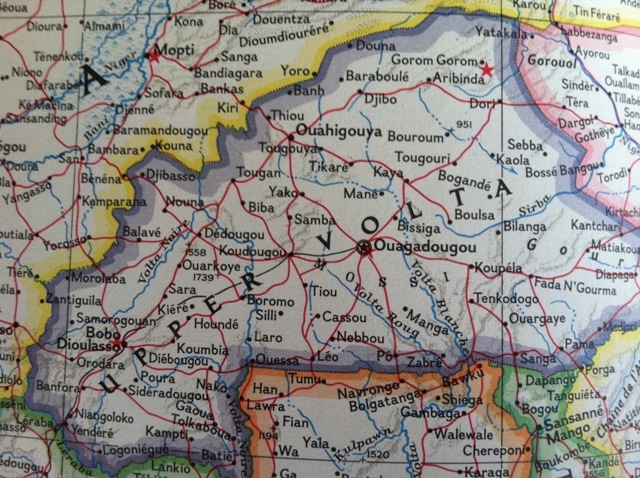 Remember, there's no such thing as the Upper Volta nowadays! Be On TV... With Your Mum! 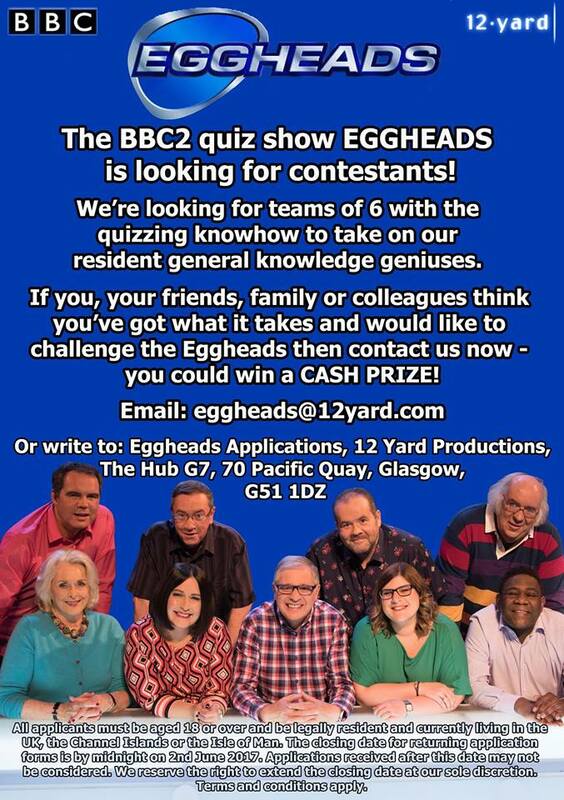 12 Yard have a new quiz show coming soon. Auditions in Glasgow on July 9th so get your application form in now. The idea of the show is that you play with a family member of a different generation. The older player answers first to build up the cash and the younger one then has to answer questions to win or lose the money. It has a working title "DON’T BLOW THE INHERITANCE". Nice! All applicants must be aged 18 years or over and be legally resident and currently living in the UK, the Channel Islands or the Isle of Man. We reserve the right to extend the closing date and time at our sole discretion. Applications are subject to the terms and conditions in the application form. * Legal adoptees are eligible to apply. Facebook user? Want to see what other quizmasters are saying and share a few questions and tips? 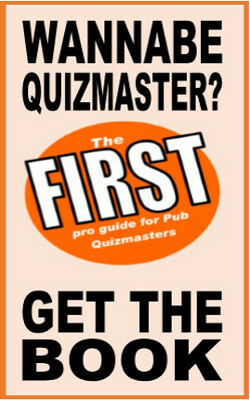 Check out this Facebook group for quizmasters, just started and looking to grow. In the wake of Bob Holness's recent departure, its good news for quiz fans that Blockbusters will be back on telly soon, courtesy of Talkback Thames who are producing the show in the next few months. Obviously, Uncle Bob won't be the host but I've been told the format will remain as-was in the glory days of the program in the 1980s and 1990s and the prizes will be cash. An American pub quiz full of geeks turn nasty when an naswer is given as Myanmar and everyone was tihnking that was Burma again. Ooft! Perfection is back on the BBC later this year and is now auditioning for new contestants during June and July. All the answers are true/false so if you're bipolar, then this could be the show for you. Jane from the production team says "The winning money is much like 'Eggheads' - £1000 per game, and the money is rolled over if nobody wins. Each episode contains 2 games so the jackpot can increase quite quickly. As far as I know (and the production team know) the most that has been won is £8000 or £9000 - I don't have a specific figure though. The show usually airs at 4.15pm on BBC 2 - weekdays."